Philadelphia is a coffee lover’s paradise. Local coffee shops are nerve endings that bring life to the backbone of our city’s neighborhoods. Where relationships are built and business conducted over a cup of joe. Bower Café, Washington Square West’s coffee shop gem, brings its own unique flavor to Philly’s coffee landscape. 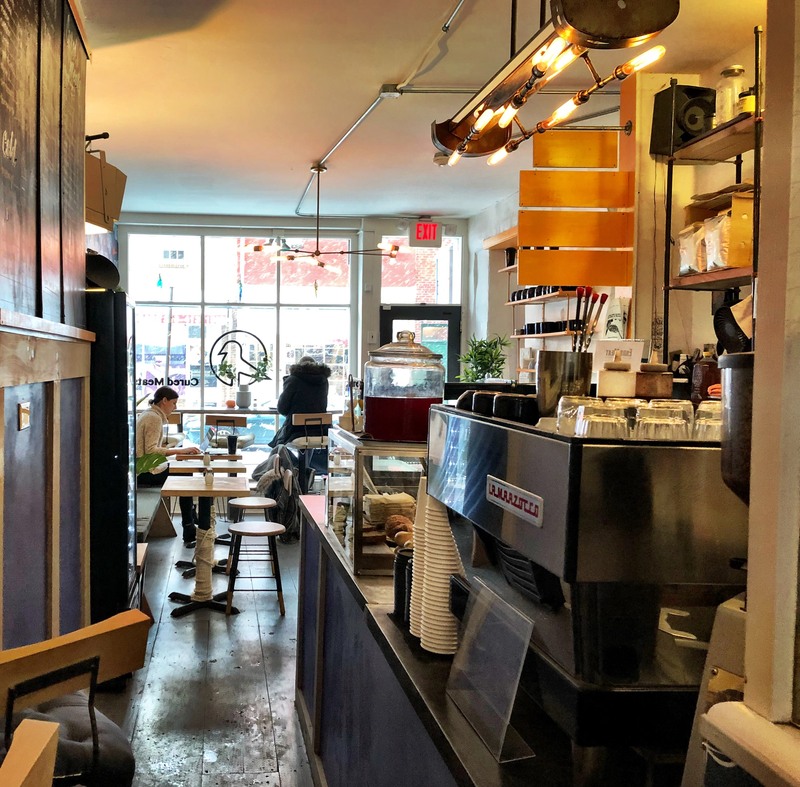 The shop was opened in June 2018 by Thane Wright, a coffee industry veteran with seventeen years of experience including tenure at La Colombe. Bower Café’s story espouses the resolve that its namesake, the bowerbird, demonstrates in achieving its goals. Bowerbirds spend numerous hours building elaborate nests for the sake of storing prized possessions and attracting mates. The shop itself opened with a sublease of space owned by a previous coffee shop. From there, Wright slowly built the space to accommodate his vision, overseeing the concept and design himself. Wright’s vision for his shop revolves around the philosophy of differentiation. He views the modern coffee shop as “no longer just a coffee shop…there has to be more than just coffee.” Experience with family pig roasts growing up has led to Wright partnering with Brooklyn’s Ends Meat to offer an assortment of cured meats such as guanciale, soppressata, and pancetta found on many of Bower Café’s sandwiches and toasts. Philadelphia’s thriving coffee industry reflects the city’s grit and DIY ethos. 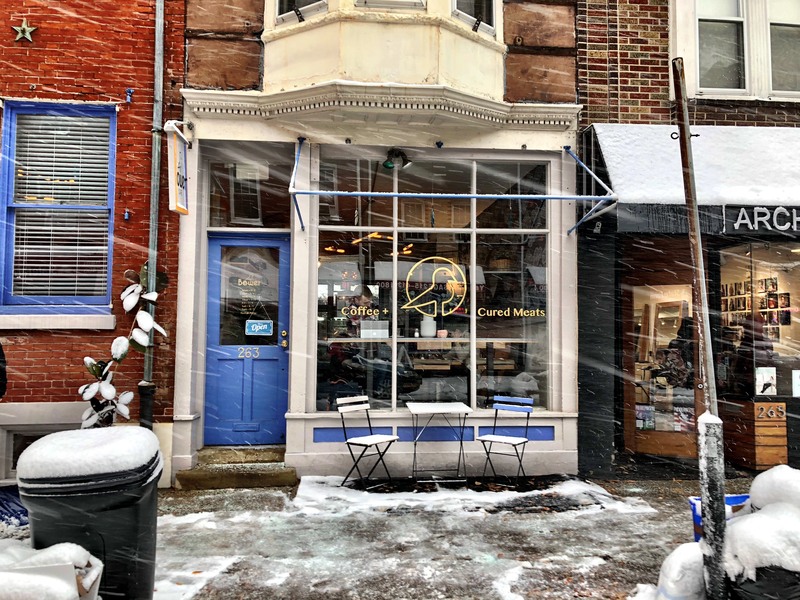 Taking the remains of unused retail space and repurposing it into a nest for Philadelphia’s coffee lovers has produced a local gem that will no doubt blossom and reproduce Bower Café’s outstanding quality.